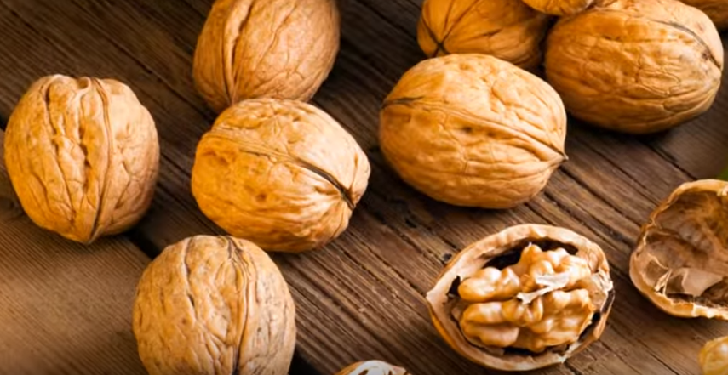 A new animal study published in the Journal of Alzheimer’s Disease shows that a diet, rich in walnuts may reduce the risk, delay the onset, or possibly even prevent Alzheimer’s disease. The study showed significant improvements in memory, learning skills, reduction of anxiety, and motor development that were fed a walnut-rich diet. The research was led Abha Chauhan, Ph.D., head of the Developmental Neuroscience Laboratory at the New York State Institute for Basic Research in Developmental Disabilities (IBR). The research team suggests that the high antioxidant value of walnuts (3.7 mmol/ounce) may be the contributing factor in protecting the brain from Alzheimer’s. Oxidative stress and inflammation are major risk factors in Alzheimer’s, which affects more than five million Americans. The research team studied the effects of dietary supplementation on mice with 6 percent or 9 percent walnuts, which are equivalent to 1 ounce and 1.5 ounces per day, respectively, of walnuts in humans. Someone in the United States develops Alzheimer’s Disease every 67 seconds, and the number of Americans with Alzheimer’s and other dementias are expected to really increase in the coming years. By the year 2050, Alzheimer’s numbers may nearly triple. 1. “New Research on Walnuts and the Fight Against Alzheimer’s Disease.” AlphaGalileo. IOS Press, 21 Oct. 2014. Web. 27 Oct. 2014. 2. “Dietary Supplementation of Walnuts Improves Memory Deficits and Learning Skills in Transgenic Mouse Model of Alzheimer’s Disease.” IOS Press. Journal of Alzheimer’s Disease, 11 July 2014. Web. 27 Oct. 2014.